Oh, I was featured! 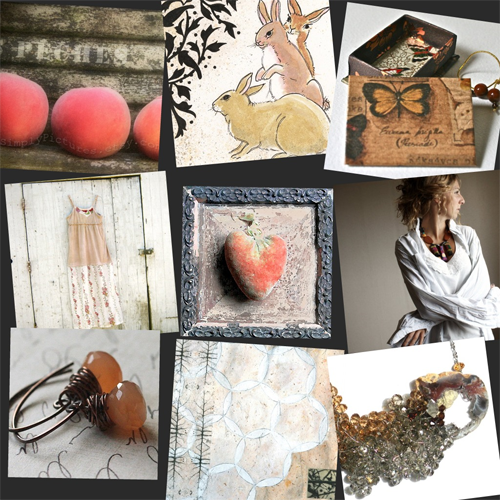 Kathi Roussel has created a wonderful collection of peach coloured finds and she included my photo 'Des Pêches'. Check out the blog 'Think Different' for more! The other featured beauties are from (clockwise starting with the bunnies): ohoriginals, DebraGlanz, LaTouchables, LushCluster, 88editions, michabella, CreoleSha and, right in the middle, Peylu.